Why rent a villa or holiday home in La Costa Brava? Are you looking for a vacation with a difference? Then the Costa Brava is the place for you. The Costa Brava offers something for everybody, for the young and the young at heart. It is a place which has everything. Spain’s Costa Brava is bordered by the Mediterranean Sea, and its people and landscape make this place an ideal holiday destination. The place where everybody would like to rent a holiday house or villa. We would recommend that you rent a villa in the Costa Brava and you will find everything you are looking for, for a carefree lazy vacation. The villages of the Costa Brava are specially attractive and you can be in another city within a few minutes/hours, even Barcelona or Girona. 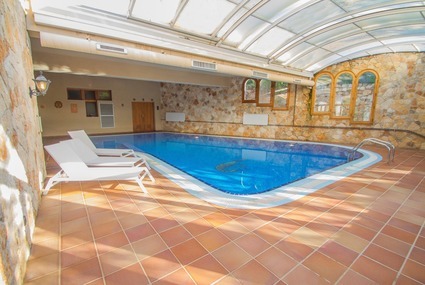 Club Villamar offers you great luxury villas and holiday houses from which you will be able to enjoy your holiday with the whole family or with a group of friends. 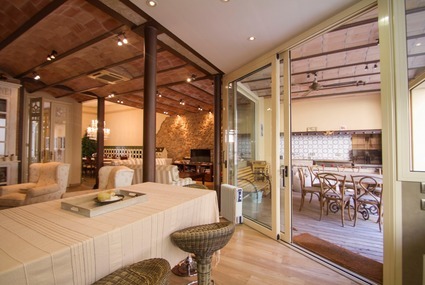 If you need to escape, to relax… you could do so in your private villa on the Costa Brava. Are you interested in what the Costa Brava has to offer? 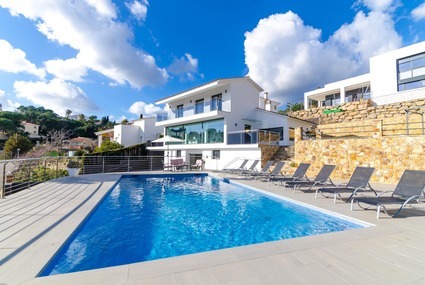 The wonderful villas and holiday houses of club Villamar give you the chance to enjoy one of the most fantastic holiday destinations in Spain, the Costa Brava. From the private pool of your villa or holiday house, you will enjoy the views of its beaches with their clear blue waters, combined with the beauty of the Mediterranean countryside. As you probably know, the Costa Brava is an area made up of many small villages and towns. Everything is within easy reach if you want to visit other resorts: Lloret de Mar, Tossa de Mar, Platja d´Aro, Begur, Cadaqués… every village has its special attraction and you will get the most out of them. Imagine taking a trip to these places by car or by boat; there are lots of cruisers which could whisk you off to other villages in a very short time. You can even visit “Les Illes Medes”, a submarine Natural Park situated in l´Estartit. The privileged situation of the villas and houses of Club Villamar give you the opportunity to enjoy the most of la Costa Brava. 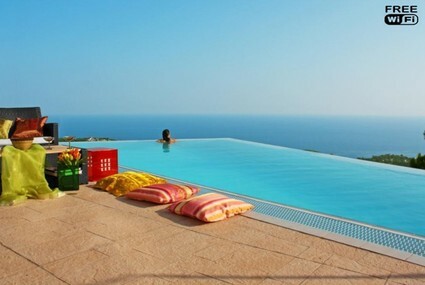 Imagine having a barbecue in your garden, by your private swimming pool, having a drink and enjoying the views. Choose between plenty of activities to do! Do you like sports? La Costa Brava gives you the chance to do many water sports such as snorkelling, scubadiving, even windsurfing and kitesurfing. The north of la Costa Brava is famous for its long and windy beaches. If you prefer the mountains, you can also escape to the Pyrinees, explore the lanscape and the volcanic area of la Garrotxa by mountain bike or riding a horse. Looking for more sports? In la Costa Brava you will be able to practise golf, bowling, beach volleyball… anything is possible. If you are thinking about a special night, visit The Casino, there are two in this area, or go to a beach concert, where you will enjoy the magic of music by the sea, in the music festival of Cap Roig. Obviously, you want to taste the fantastic and renowned Mediterranean cuisine! There are plenty of restaurants where you can taste traditional cooking, do not miss those in the typical small fishing villages. Time to learn something about the culture of this place: go to Barcelona or Girona, visit the Greco-Roman ruins in Ampuries. Moreover in la Costa Brava there is one of the most famous museums in Spain; in Figueres you will be able to visit the Dali museum. Dali is one of the best- known surrealist painters in the world. As you can see, everything is possible in la Costa Brava, even having a party and dancing in the fantastic discotheques and music bars along the la Costa Brava. 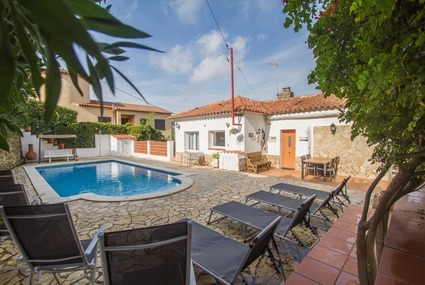 Why rent a villa or holiday house with Club Villamar? Imagine getting dropped off at a hotel, in a small room, with noisy neighbours after a never ending bus trip. Do you think this is not possible? Nothing could be further from the truth. With Club Villamar it is possible, rest assured that you will find everything you are looking for in our villas and holiday houses. This year you will have your well-earned vacation!